The DMM Pivot is a versatile, functional and innovative belay device that caters for modern belay techniques with modern ropes. The direct belay option is very useful for multi-pitch trad and alpine climbs. 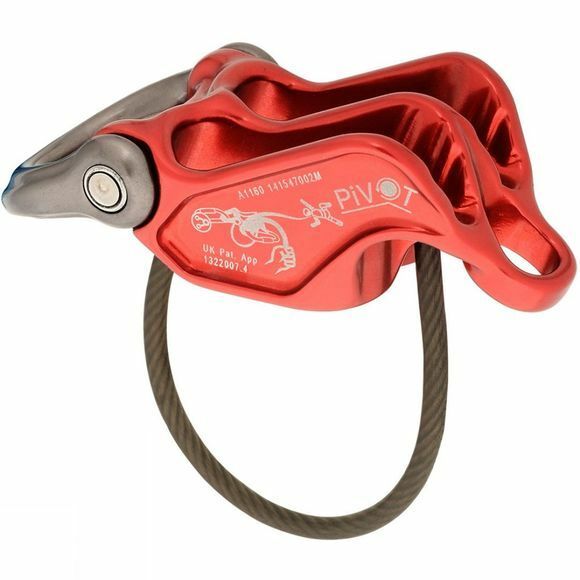 The innovative pivot system (patent pending) allows controlled and easily initiated lowering when used in guide/direct mode. Even with a weighty second, the belayer can lower one, both, or either second with total control using the specially shaped biner cavity. The Pivot is also a trusty abseil partner for the return to base.